The differences between online, desktop and mobile aren’t as clear as they used to be. Nowadays the variety of devices has led to a merger which could be a bit confusing. 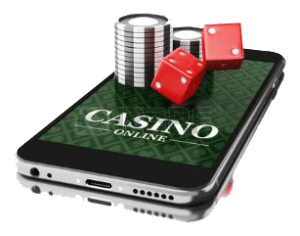 The question is, whether there is a real difference between mobile casinos and online desktop casinos. And if so, what exactly are these differences? Firstly, let’s define the term ‘mobile’ casino. There are two things to be taken into account: a mobile app vs. mobile browser play and connection type. App play is where the game creator has developed a standalone app which is used only for the playing of the game and has to be downloaded from the Internet using an app store or website (website downloads are only available for non-Apple products). Browser play is more similar to playing on your computer from your desktop through a certain browser (Google Chrome, Firefox, etc.). The quality however could be limited, since many websites aren’t developed to be responsive to mobile devices (yet). Then there is the connection type to be taken into account, because most mobile devices allow the option to choose between cellular data connections and Wi-Fi data connections. Cellular can be fast, reliable and convenient, but only if you have a proper signal. Imagine getting close to a big win and then have the This Page Cannot Be Displayed message appear? This is why mobile browser play and a cellular data connection should never be paired up. When playing via an app on a cellular data connection the problems aren’t as bad, because most apps frequently auto-save your progress and will resume as soon as your signal returns. Mobile casino offers a kind of ‘on the go’ chance to gamble. No matter what your game of choice is, mobile casino offers it to you quick and at anytime. However, there are a few things that aren’t the same as playing on a desktop and could possibly take away a bit of the enjoyment. Of course the screens of smartphones are much smaller than your desktop screen and a battery of a smartphone (when not plugged into the charger) can be quite easily drained by the games with flashy graphics. You could for example use a mobile battery pack, but it’s not always comfortable to carry that around with you. In conclusion, looking at both mobile casino and desktop, the differences aren’t very big. There are of course things which you can do with desktop and not with mobile and vice versa, but the beauty is that you can enjoy the best of both worlds! When comfortably at home, of course your desktop is the best option, but when ‘on the go’, you can enjoy playing from your mobile device. Online Slots are an extremely popular online casino game and they come in a huge variety. So what about mobile Slots vs. online desktop Slots? As time has gone by and computer graphics have improved, so has the quality and gaming experience provided by Slots. But still, even in this modern age, some of the best, Bonus extra filled Slots are only available for desktop due to the power that they need to run. One factor that definitely does increase the appeal of mobile Slots is due to the fact that many developers are still trying to secure their place in the market and therefore offer fantastic extras, prizes and Bonuses to their mobile Slots players to encourage them to keep playing and to be less likely to return to other gaming platforms. Mobile Sports betting is growing to become extremely popular amongst online gamblers. Which makes sense, because it has quite some obvious benefits. The first one being that you don’t need a computer and secondly that you can bet from wherever you are in the world and whenever you like. Mobile access has become quite essential for sports fans who are looking to place a bet from the stands whilst the game unfolds. The need for instant Sports betting access has pushed the mobile gaming revolution even further than mobile casinos. Now gamblers can enjoy dedicated Sports betting apps as well as useful feature apps such as odds calculators and stat collectors. Nearly each major Sports betting website now has a dedicated app available for smartphone and tablet users. Usually available for free on iOS and Android devices, these apps provide access to exactly the same Sports betting markets that are available via full desktop web versions. You may find that the visual aspect of some websites is simplified and responsive to the smaller screens of mobile devices. When it comes to choosing which app to download, you’ll need to consider which one is the best fit for your Sports betting habits. Of course, if you’ve already signed up with a specific website online, it will generally make sense to download their app too, giving you another convenient way to access your existing account. Mobile Poker is technology’s latest gift to online Poker players, enabling them to play real money Poker, regardless of their location. Thanks to the availability of mobile Poker rooms and mobile Poker applications, players can play their favorite games of Poker for real money, from wherever they are in the world. The online Poker industry has only recently realised the great potential of mobile Poker gaming. Mobile Poker rooms have launched Poker applications that can be easily downloaded onto Android, Blackberry, and iOS devices, enabling players to play real money Poker on the move. iPhone: Playing Poker on an iPhone should be a good experience because the iPhone is full of all sorts of innovative features. A large number of online Poker rooms have already developed mobile Poker apps compatible with iPhones, but the iPhone Poker industry is very young and still needs to be further developed. However, in the future, the Poker gaming industry might develop downloadable Poker gaming software compatible with the iPhone, enabling players to access all the features of the online Poker room on their iPhones. iPad: Playing Poker games on an iPad devices is an enhanced experience because of their larger screens and longer lasting batteries. Since the iPad battery lasts longer, iPad Poker works well for Poker players who prefer longer cash games and Poker tournaments. Android: Cashing in on the popularity of Android devices, online Poker companies started rolling out real money Poker apps compatible with Android phones. Today, Android mobile Poker is rapidly gaining popularity. In fact, Android mobile Poker is more easily available than iPhone online Poker, and Android users in different parts of the world such as UK, Australia, Canada, and US can play real money Poker games on their Android phones. Bingo fans are spoilt for choice these days, with an almost limitless number of online Bingo rooms. And what about the gamers who like to play on the move? Most people are using smartphones and tablets for almost everything now. For online shopping, to watch videos, book holidays and catch up on the latest news. So it’s no surprise that favourite Bingo websites have also joined the mobile revolution. As smartphone screens continue to get larger and the 4G network expands, you can expect to see mobile Bingo grow in popularity.